If you’ve ever asked for information online about a product or service, or signed up for an e-list or group membership on the Internet, and received a nearly instantaneous response in your e-mail inbox, an autoresponder program was responsible for delivering the reply. Multiple autoresponders send a series of messages to received e-mail addresses on a predetermined, timed basis. For instance, multiple autoresponders can be used to send an instant response, then a follow-up message three days later, then another five days after that, and so on. It can be programmed to send a message a day, one per week, twice monthly, or any interval that satisfies the purpose of the message series. 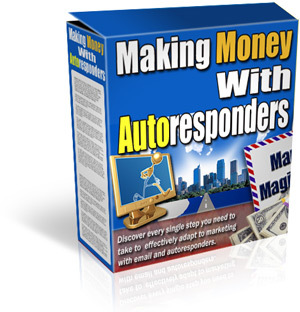 Autoresponders are the most powerful Internet marketing tools available. They are easy to use, and once they’re set up the entire marketing process is automated and instant. When you use autoresponders, your Internet business runs itself 24 hours a day. Launching an effective autoresponder campaign can mean the difference between a struggling business and a wildly successful one.